Welcome to Krynn, where magic and fantasy are commonplace. In this collection, Don Perrin offers the story of a family of minotaurs cursed by Sargonnas to repeat their heinous crime of betrayal year after year after year. The god himself enjoys materializing to savor their torment. Until one year, Sargonnas doesn't show up . 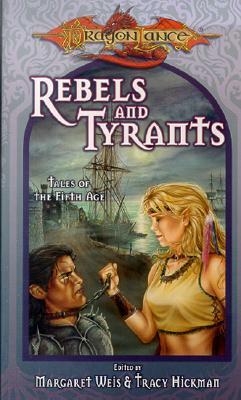 . .
Plus tales of rebels, tyrants, and other inhabitants of the wondrous world of Dragonlance by best-selling authors Margaret Weis, Richard A. Knaak, Nancy Varian Berberick, Paul B. Thompson, Chris Pierson, and Linda P. Baker in a new installment of the long-running short story series celebrating its fifteenth anniversary.